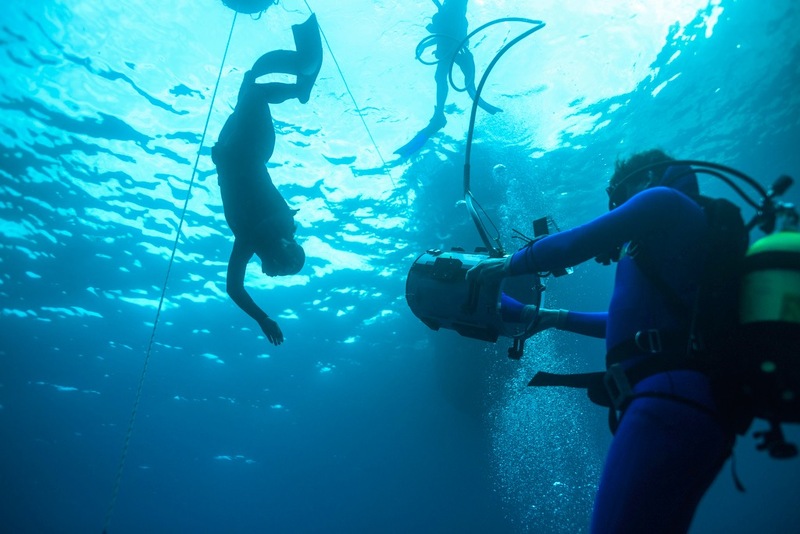 An international search for the best underwater filming location for a commercial, for a Swedish internet service provider, resulted in the Maltese island of Gozo to successfully host its filming. Production took place in August and the final product was released on Swedish television and cinemas this week. The commercial is a story of a free diver - a diver who doesn't use air tanks or any breathing equipment - diving in clear deep blue seas where she encounters a whale. The Maltese production company The Producer's Creative Partnership (PCP) was involved in the bidding process of the commercial when the search begun last May. Palma de Mallorca was an obvious top contender because of its clear waters but the PCP felt confident Gozo would make more sense since the small size of the island provided the advantage of moving quickly to any side should the weather forecast change. Due to the complexity of the shoot, the least current and swell was needed. Gozo provided maximum versatility, the ability to have back up plans without losing time. The island of Gozo is already world-renowned for its clear waters and attractive diving spots. The production's focus however was solely on very clear water and the deep blue sea look, two requirements which Gozo easily satisfied. 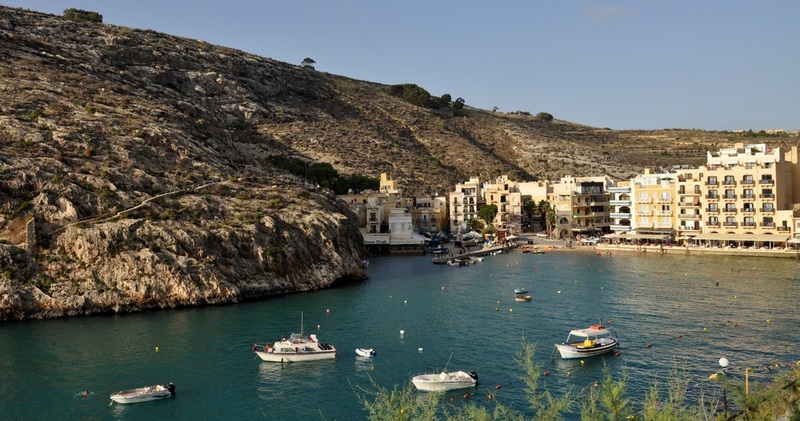 The availability of a first class film crew from the mainland Malta, only a 30 minute ferry crossing from Gozo, helped to make the shooting in the Maltese islands a no-brainer. All support services ranging from transport to accommodation and boat rentals were from Gozo. The Gozitons are always ready to go that extra mile to deliver a professional service. Furthermore the relaxing ambience for foreigners accommodated on the island is always an added bonus for them. A great plus is that almost anywhere in Gozo is within 20 minutes. Because of the "epic style" required on screen, the production hired the best crews available. The underwater videography was taken by Eric Börjeson who designs his own underwater equipment, arguably the most practical and versatile in the world. Free-diving advice and safety was provided by world champion Jesper Stechmann who recently set up shop on the island of Gozo. Jesper had reached a record for free diving down to over 100 metres. 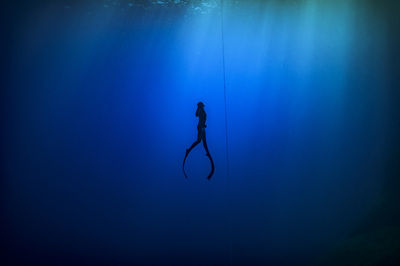 Moreover the search for the best diving spots for photography was aided by Malta's long-standing professional photographer Kurt Arrigo. Aerial photography was provided by the Maltese team Warren Brimmer and Mario Demanuele, who were able to bring professional high-end video in the air despite strong winds. The 30-man strong team consisted of 70% Maltese/Gozitons and 30% Swedes. 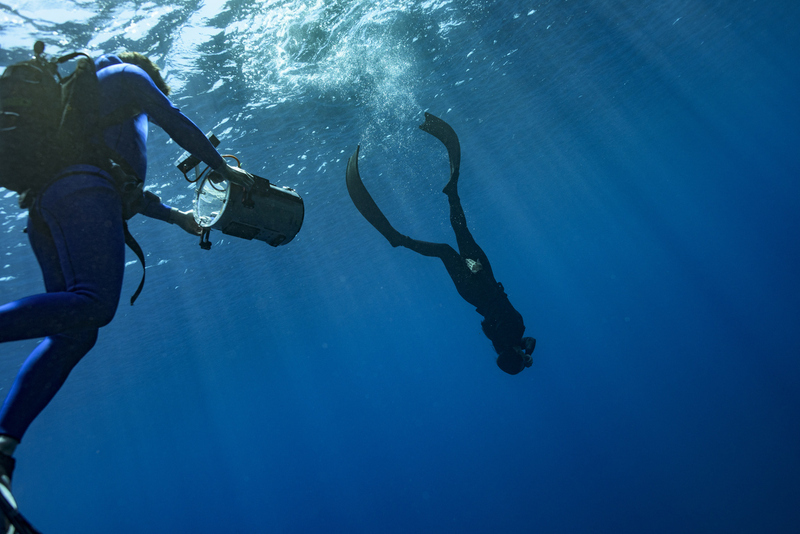 Following a two day intensive scout of the coastline to determine the best underwater spots, filming took place over two full days. Despite August statistically having the weakest winds in the year, the second day of filming experienced strong winds. However one of the three locations identified by the team provided sufficient shelter to carry out all the work. For executive producer Alexander Blidner this was his first time in the Maltese islands. "Gozo / Malta turned out to be the best option to shoot our commercial" Alexander says, "Crystal clear water and a reliable production set up were the primary challenges for our production so we scouted worldwide and ended up in Malta. We are happy with the end result and are looking forward to return soon"
The PCP thanks the people of Gozo and the Harbour Master for making this commercial possible.